That’s right. Fresh, homemade ricotta. I’ve been wanting to try my hand at making cheese but thought it was a bit daunting. 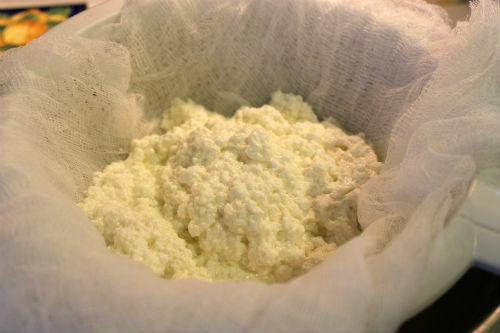 When I came across this recipe from Canadian Living for making ricotta at home, it seemed so easy. And it was. 3 ingredients: milk, salt and vinegar. Tha’ts all you need. The recipe suggests buying organic milk because it normally has higher fat content. Try using milk that has at least 3-4%. 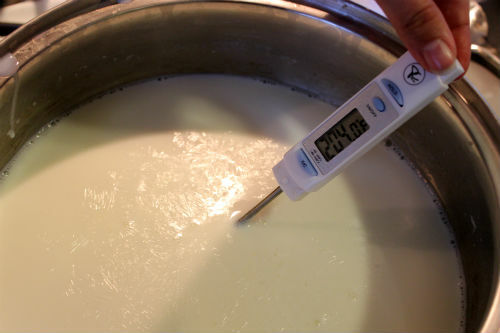 Make sure you have a reliable cooking thermometer to keep track of the temperature of the milk. 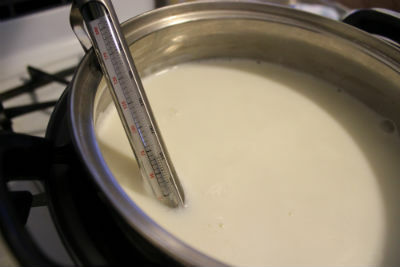 When the milk reaches 203F, remove off the heat. Add the vinegar, stir a few time and just let it hang out for 20 minutes. 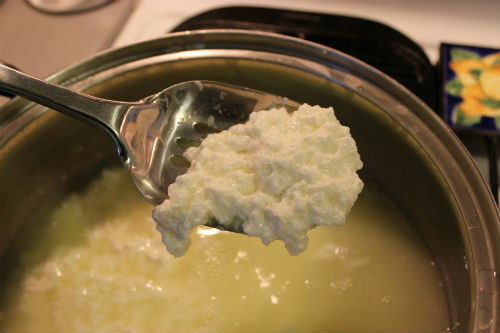 Using a slotted spoon, scoop the curds into a strainer lined with cheese cloth and let it drain. While it’s tasty warm, I let it sit in the fridge overnight and it tasted even better. Pour a little local honey over it and you’ve got a delicious snack.